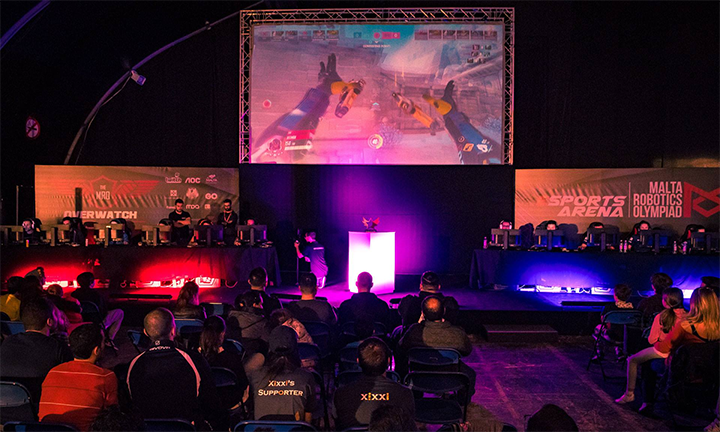 We're keen to announce another first-person shooter for The GO Malta eSports Festival 2017. Released only last year, revolutionising the genre as we know it, Overwatch will be part of the most awaited esports event of the calendar year on the Maltese Islands. Ever since its recent publish date, the community collaborated to push forward initiatives for competitive tournaments across the world. In absolutely no time at all, the bright colours and wild imagination that is Overwatch, the competitive scene grew exponentially. So much so, that soon enough the whole world will witness the Overwatch World Cup. For now we remain frozen in anticipation. Gamers.com.mt has recognised the title's potential which is why we've included it in prior events. Many will easily recall the MRO Overwatch Open we held a while back; it was a fantastic event. This year, we're looking to replicate this outcome by including it for the upcoming festival. The local community has patiently waited for another chance to battle it out in Overwatch, and we look forward to finding out who'll take home the victory. With Project Eversio just announcing their departure from the scene, this opens a welcoming space for a new team. Unless we see them playing again after reading this news? Third place is obviously highly contested, but will anybody touch EvH and Paradigm6 if they show up? We doubt EvH will give up their spot willingly. Having a multi-million dollar league, Overwatch is a heavy-weight in esports. Our mission at Gamers.com.mt is to bring high-quality international competition to our little island; which is exactly what we'll be doing at the GO Malta eSports Festival later on this year. Tell us what you think about our decision to include Overwatch in the comments section below. Help us make this the best event possible.